Microsoft should begin to offer Windows 7 Family Packs in the UK from 22 October, allowing up to three PCs in a household to upgrade to the critically acclaimed operating system. The Windows 7 Family Pack has just gone on sale for a cent under $150 in the US, with UK pricing yet to be confirmed. "For those of you living outside of the US, Family Pack will be available for purchase on or after 22 October," confirmed Microsoft's Ashley Brown. "Windows 7 was designed with home networking in mind," he added. "Windows 7 Home Premium comes with HomeGroup, a new feature that makes sharing photos, music and files between all the PCs in your home network a snap. "It's especially handy if all of your PCs share a printer." Windows 7 Family Pack is only available to people upgrading their old machines, allowing those on Windows Vista or XP to get the latest operating system. 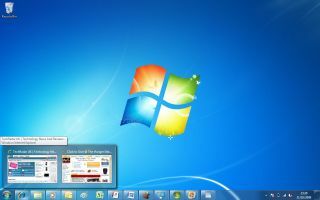 Windows 7 has been a massive hit for Microsoft to date, both critically and in the response from the public, and the company is keen to push it out to as many computers as it can.